Ships tomorrow if you order in the next 18 hours 45 minutes. We pet owners may not think too much about the joint comfort of our furry friends, especially if they are still young. But, that may be a mistake, particularly for larger breed dogs and cats over eight years of age. There are ways we can help support optimal joint and hip function for our pets, including appropriate natural foods and cartilage-supporting supplements. 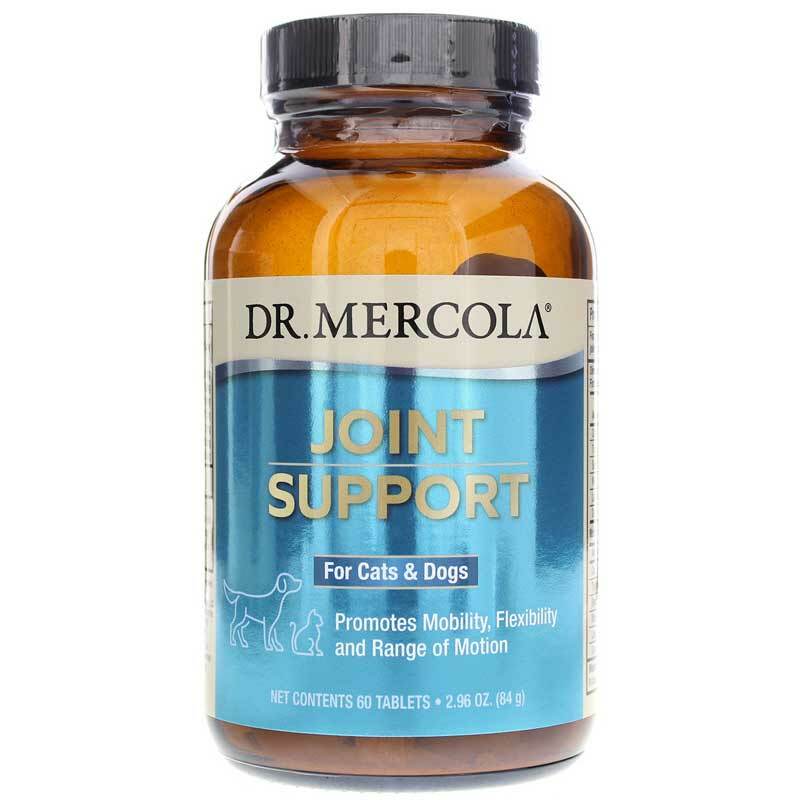 Dr. Mercola offers a natural pet supplement called Joint Support that seeks to promote joint flexibility, mobility and range of motion in cats and dogs. 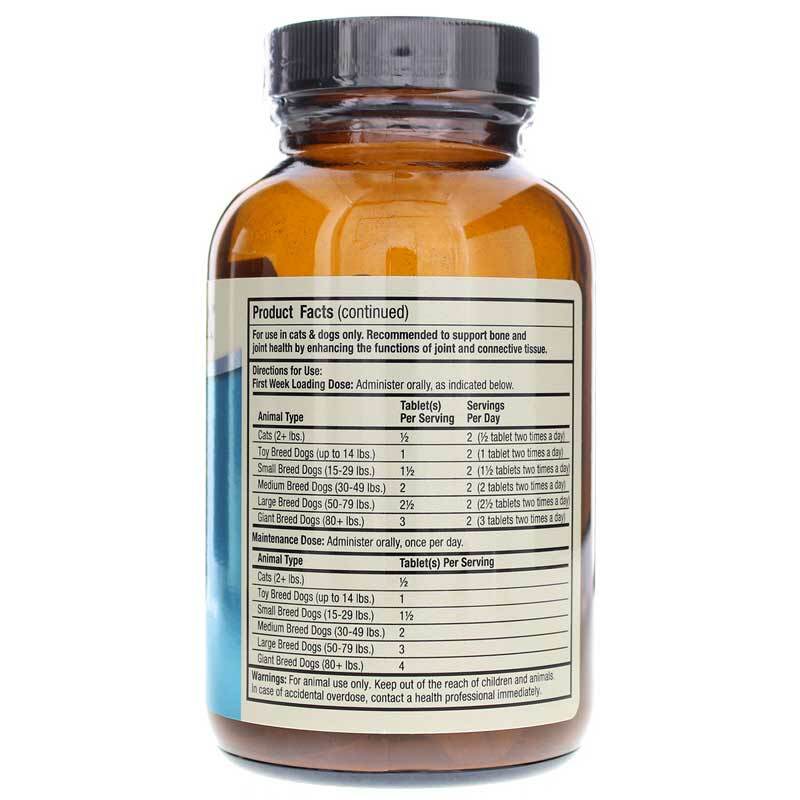 This formulation includes seven active joint health ingredients. One of these is BiovaPlex™, an American-made, water-soluble, eggshell membrane compound that contains collagen, elastin and glucosamine. If you're looking for a natural pet supplement that seeks to promote joint flexibility, mobility and range of motion in cats and dogs, consider Dr. Mercola's Joint Support. Order online today! 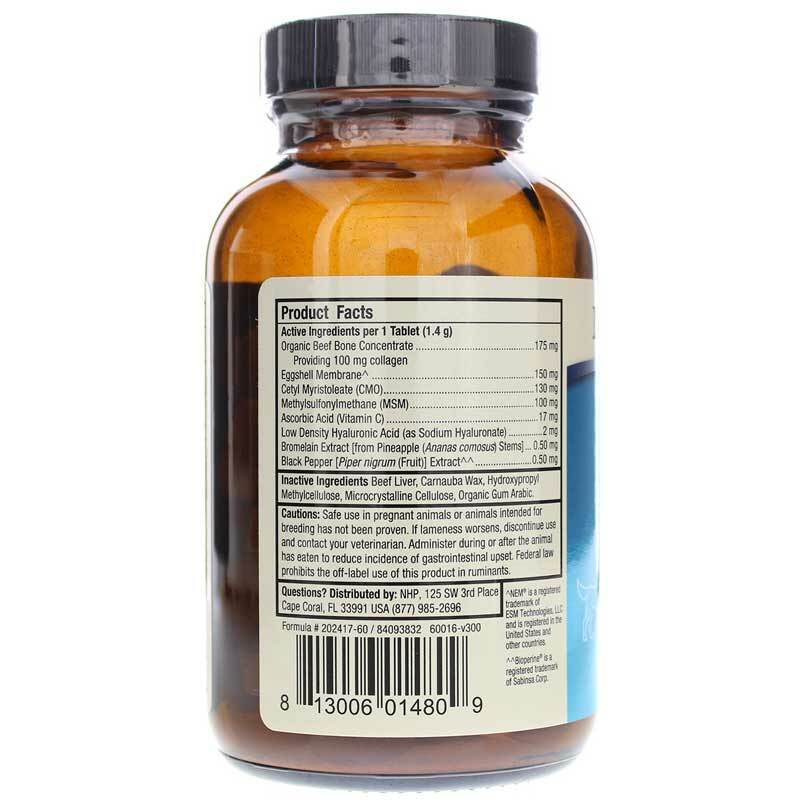 Inactive ingredients: Beef Liver Powder, Beef Powder, Dicalcium Phosphate, Lactose, Maize Starch, Maltodextrin, Microcrystalline Cellulose, Silicon Dioxide, Whey Protein Concentrate. Cats (2+ lbs): 1/2 tablet, two times a day. Toy Breed Dogs (up to 14 lbs. ): 1 tablet, two times a day. Small Breed Dogs (15-29 lbs. ): 1 tablet, two times a day. Medium Breed Dogs (30-49 lbs. ): 1 tablet, three times a day. Large Breed Dogs (50-79 lbs. ): 1 tablet, three times a day. Giant Breed Dogs (80+ lbs. ): 2 tablets, two times a day. Cats (2+ lbs): 1/2 tablet, one time a day. Toy Breed Dogs (up to 14 lbs. ): 1/2 tablet, two times a day. Small Breed Dogs (15-29 lbs. ): 1/2 tablet, two times a day. Medium Breed Dogs (30-49 lbs. ): 1 tablet, two times a day. Large Breed Dogs (50-79 lbs. ): 1 tablet, two times a day. Giant Breed Dogs (80+ lbs. ): 1 tablet, three times a day. For animal use only. Keep out of the reach of children and animals. In case of accidental overdose, contact a health professional immediately. Safe use in pregnant animals or animals intended for breeding has not been proven. If lameness worsens, discontinue use and contact your veterinarian. Administer during or after the animal has eaten to reduce incidence of gastrointestinal upset. Federal law prohibits the off-label use of this product in ruminants.